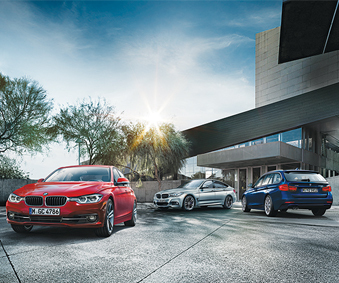 BMW Canada was formed in January 1986 to support BMW customer’s better, bringing services closer to many local enthusiasts through a stronger presence and structured organization. Budds’ BMW Hamilton works directly in line with our company standards and we pride ourselves on providing our customers with quality service and care. 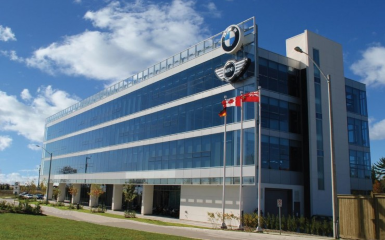 If you are thinking about purchasing a vehicle from Budds’ BMW Hamilton, then you should continue reading this page to find more information about our dealership and BMW Canada Inc.
Our team at Budds’ BMW Hamilton is made up of people who take our company motto to heart. “To treat others as you want to be treated” is a motto that we live by at Budds’ BMW Hamilton and our team of expert and experienced representatives hold that in the highest regard. When you come into Budds’ BMW Hamilton to look at a premium quality BMW vehicle, you are treated with the utmost respect and care, and that goes for every stage of your experience as the customer. At the end of the day, if the customer is satisfied and happy, then we have done our jobs well at Budds’ BMW Hamilton! Other companies and brands can try and replicate our facility, mimic our process and offer the same products, but noone can match the quality and dedication of our people. Budds’ BMW Hamilton is in direct correlation with our corporate standards and that is evident by our high quality premium vehicles and our dedication to customer experience and satisfaction. For more information about BMW Canada and Budds’ BMW Hamilton, please feel free to continue browsing through our website. Check out our information about our service team, parts department, and other services we provide. Also, visit our blog page for other interesting content! We can be reached at (905)387-7507 or by filling out our contact form.